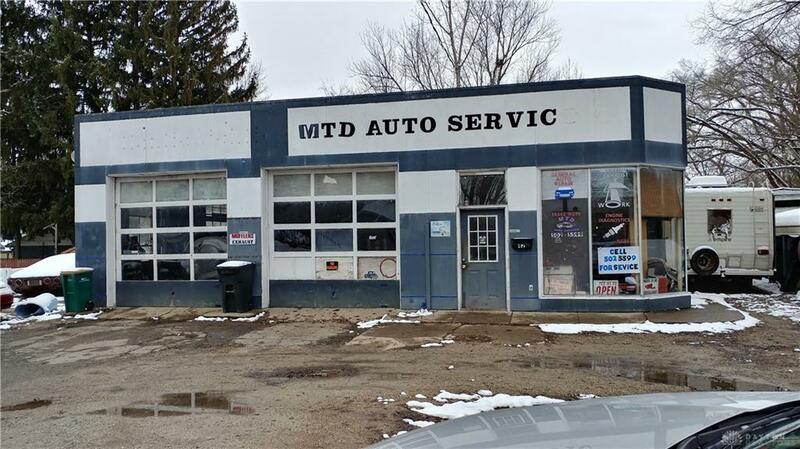 Great site for Auto Sales and Service business. Two garage bays with hydraulic lift in each. Office and restroom.Previous service station, no EPA issues per previous Phase I. Updated heating system. Listing provided courtesy of Steven R Young of Keller Williams Advantage Real. © 2019 Dayton Area Board of REALTORS® MLS. Information Deemed Reliable But Not Guaranteed.